Published by Al on April 13, 2011 in Editorial. 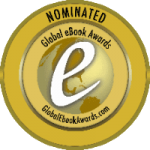 Closed Tags: Abiding Evil, Alison Buck, award, Crypto da Vinci, Devoted Sisters, global ebook award, nomination, Simon Buck. Published by Pete on March 12, 2011 in Editorial. If you’re still looking for an exciting new eBook to read for Read an eBook Week, you’ll be glad to know that Crypto da Vinci by Simon Buck has just been published as an eBook. It’s already on the Amazon Kindle Store and will soon be up on Kobo. If you like mysteries or thrillers, with some espionage, wit and a soupçon of whimsy thrown in for good measure, then you’ll love Crypto da Vinci, the latest in the Peter White mysteries. 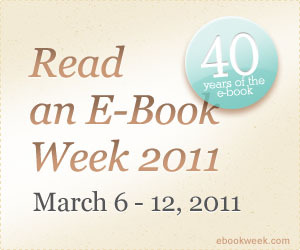 Closed Tags: Amazon, Crypto da Vinci, eBook, Kindle, Kobo, Read an eBook Week, Simon Buck. Published by Pete on November 24, 2009 in Editorial. After a self-imposed six year delay (to let the hype die down from that other ‘da Vinci’ book), Simon Buck’s next Peter White mystery has arrived. Originally planned to be the first Peter White mystery, it was rescheduled to appear after Library of the Soul as a prequel. Since then, various other events have conspired to delay it even further. Right up to the last minute, as the publication date of 9th November was missed when the first print run wasn’t delivered until Friday the 13th – which we’ve decided should not be taken as an omen! However, that’s all irrelevant now as it’s here for us to read (well, actually I’ve already read it, that’s the advantage of being the publisher). In this book we get to learn more about Peter White, accompany him and his friend Al on some interesting travels and eavesdrop on their conversations over delicious meals. On the way through this modern day mystery we learn about an old scandal, uncover a hidden renaissance wonder and meet some curious characters (and a couple of unsavoury ones too). Closed Tags: Crypto da Vinci, Simon Buck. Published by Pete on June 17, 2007 in Review. There’s a review of Library of the Soul on the Euro Crime web site, courtesy of Norman Price who also blogs at Crime Scraps. Our favourite sentence: “This was fun reading if you did not take it all too seriously, and I have to admit that it was a real page turner.” Norman finishes by saying “I am really looking forward to reading the next Peter White mystery”. So are we. Come on Simon get your finger out! Closed Tags: Library of the Soul, review, Simon Buck. You are currently browsing the Scribbling and scribing weblog archives for 'simon-buck' tag.